How Many Male Newborns Get Circumcised? A recent NPR article reveals that the Centers for Disease Prevention and Control (CDC) is considering educating men on the health benefits of circumcision. This wouldn’t be limited to newborn babies, but open to men of all ages. But how many men are circumcised at birth? Last year, the CDC released a report analyzing male newborn circumcision long-term trends from 1979 to 2010. The numbers were found using the National Hospital Discharge Survey (NHDS), and examined national and regional circumcision rates. The study didn’t count any circumcisions performed outside the hospital or on older males. The study found some interesting things: During the time of the long-range study, circumcision rates declined around 10% to land at 58%+ in 2010. 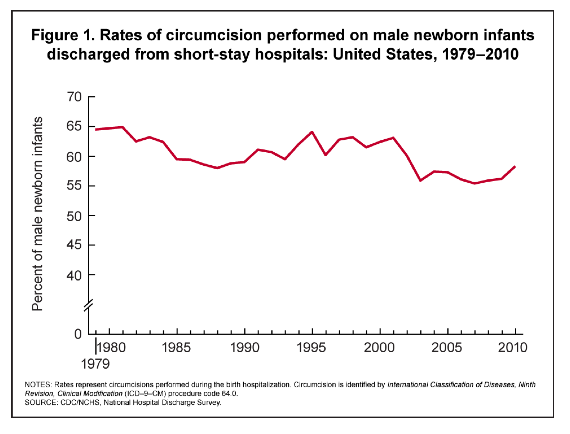 Circumcision rates declined in the 1980s, rose until 1998, and then began declining again. The report also tracked how circumcision rates broke down by region. 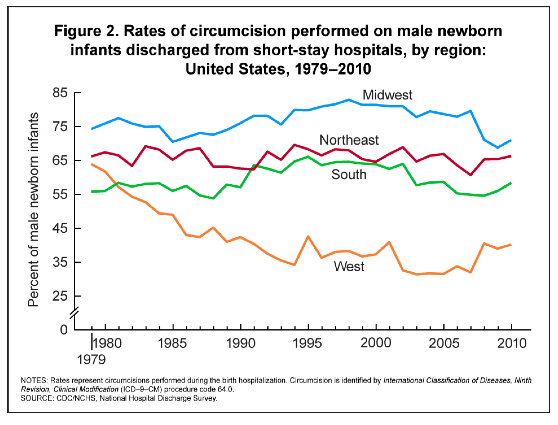 Circumcision in the Midwest mirrored the national trend, while the South saw increasing rates until 1998 (contrary to the national pattern), and then declining rates. The West had a steady decreasing rate throughout the study’s duration. It’s interesting that rates have declined within the past decade-and-a-half. 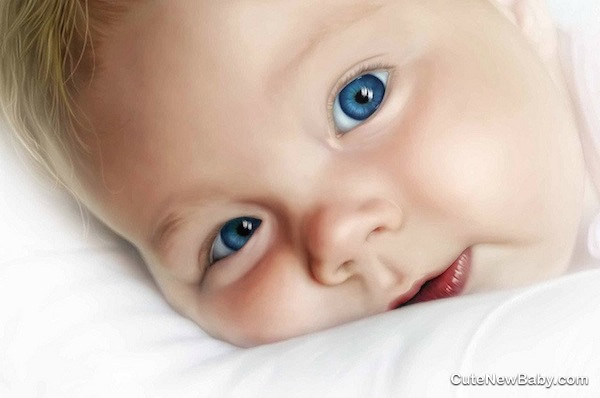 Posted on December 15, 2014 December 15, 2014 by SCE	This entry was posted in Circumcision, Men, Penises and tagged Babies, Centers for Disease Prevention and Control (CDC), National Hospital Discharge Survey (NHDS). Bookmark the permalink. ← What Are The Most Common Sexual Fantasies?